appost.in/gdsonline – Apply Online for India Post GDS 2017 Vacancy for Gramin Dak Sevak posts: Bihar Gramin Dak Sevak Online Application from is now available to apply for India Post Recruitment. Are you looking for India Post Gramin Dak Sevak (GDS) Online Application form? As many as 21,000 Gramin Dak Sevak vacancies has to be filled in various Postal Circle in India i.e. Gujarat, Maharashtra, MP, AP, Rajashtan, Karnataka etc. India Post GDS 2017 online application are given below. Online Registration for Chhattisgarh & Bihar Gramin Dak Sevak (GDS) 2017 has started. India Post (Bihar Post Office), various postal circle in India has invited online application for Gramin Dak Sevak (GDS) posts for filling up 25,000 vacancies through Employment Notice India Post GDS Online form 2017. These vacancies are to be filled at various postal cricle in India. 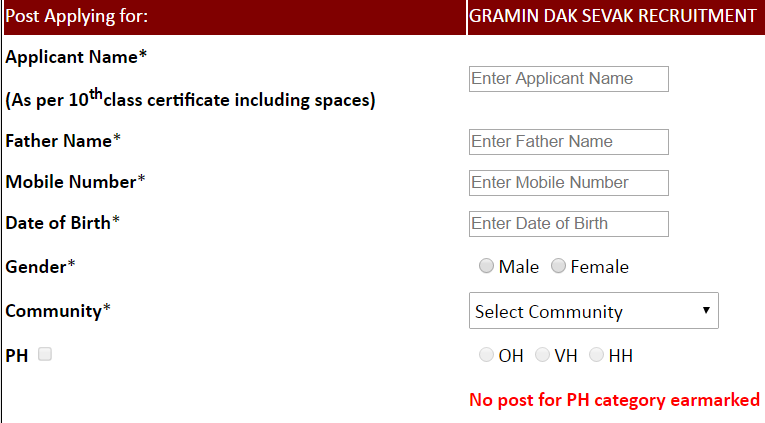 We have mentioned the instructions below on how to apply online for Gramin Dak Sevak Vacancy. Candidates can apply only through online mode for India Post Gramin Dak Sevak (GDS) Vacancy jobs. Check out the requirements for online form submission. Before start filling online application make sure candidates have these details. Candidates who wish to apply online for India Post GDS 2017 Vacancy for Gramin Dak Sevak posts in various postal cricle in India. Here is complete details given. Follow these instructions in order to apply Online for India Post GDS vacancies. Log on to India Post GDS 2017 Online Portal at appost.in/gdsonlinet [Link]. Click on Online Registration for Gramin Dak Sevak Vacancy. Candidates belonging to UR/OBC Male are required to make Fee payment after Registration Process and can Apply Online after availability of Fee ID and Registration Number. Visit the same website again at appost.in/gdsonline. Now Enter your Registration No. and Select your circle. Yes. You have successfully applied for India Post GDS Recruitment 2017. After confirmation of Gramin Dak Sevak Online Registration. kindly take a print of that with you for future purpose. There is no need to deposit the Registration Slip in Board office. Note: Registration Number will be allotted to the applicant after paying application fee. The applicant may login with registration number and his/her date of birth only after allotment of registration number. One candidate should use only one Gramin Dak Sevak registration. 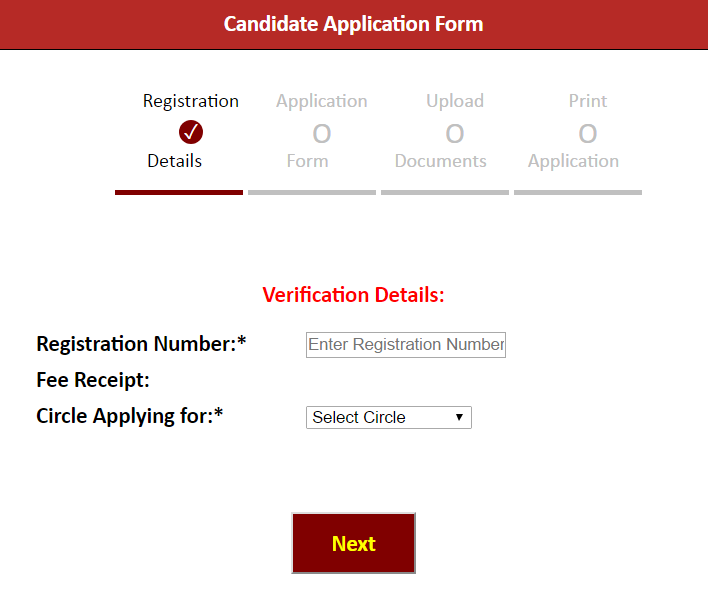 The candidates having any inconvenience in filing up online application may feel free to comment here. Gramin Dak Sevak Recruitment 2017.